Seriously speaking, the most important ingredient in home security systems is the company that installs them! As the leading provider of the best homes security systems to families and residents throughout the Greater Chicago Metropolitan Area, Forest Security, Inc. has been installing wireless home security systems for more than three and a half decades. As a family-owned and operated company which is well-known for customizing home security systems and protection technology to match our customers’ needs as well as their budgets Forest Security is well-known for consistently putting customer satisfaction as number one on our list of priorities! Not only are we distinguished for have the most exceptionally high standards, but we are renowned for our unique products and technological proficiency. As a result, whenever Westmont homeowners are looking for the best home security systems in the region, the only name they need to know isForest Security. 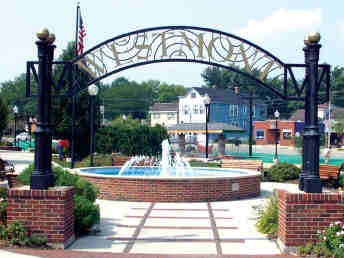 Westmont, Illinois is in DuPage County has about 25,000 residents. River Grove, home of Forest Security, is located less than 16 miles northeast of Westmont. We are able to offer the safe and secure protection to our Westmont neighbors require at a price they can afford. Once our Westmont customers retain us to install security systems in their homes, they will be pleased to learn that they will be 15 times less likely to be burglarized. Because our Westmont clients are more inclined to become victims of crime if they are not protected by the best home security systems, they are definitely eager to get Forest Security to help them! Then our Westmont customers can relax in the knowledge that the home security systems measure up to their specifications perfectly! With Forest Security providing you the best security systems, you can trust that not only will we meet your expectations, but we will be more inclined to surpass them. We possess the most outstanding round-the-clock response to our customers’ alarms and you are guaranteed to have the peace of mind you’ve been missing before you were protected by Forest Security’sremarkable state-of-the-art security systems. Whether you are going on an extended trip or on a weekend getaway, you’ll never have to worry again about your home being burglarized. Best of all, once Forest Security installs one of our wireless home security systems, you will be able to get that good, sound sleep you’ve been missing out on! For the best security systems available, callForest Security, Inc., today, at: (708) 452-2000 to get a FREE, no obligation consultation and price quote, today!